Ronald Reagan has become "He Who Must Not Be Named" at our dinner table because my kids have heard me disparage him so often. Things have been even rougher lately due to all the RR-worship going on by the Republicans. Thanks to a link from the terrific Self-Styled Siren, I had the pleasure of reading this little antidote from James Wolcott. 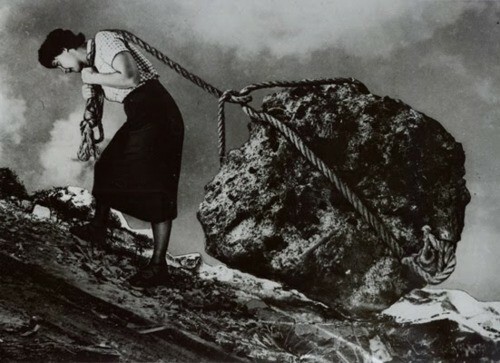 collage by Grete Stern, 1949.